An unclassified report by the Defence Intelligence Agency said Beijing has made military strides in recent years, thanks partly to domestic laws forcing foreign partners to divulge technical secrets in exchange for access to China's vast market. "Beijing's longstanding interest to eventually compel Taiwan's reunification with the mainland and deter any attempt by Taiwan to declare independence has served as the primary driver for China's military modernization", DIA Director Robert Ashley said. 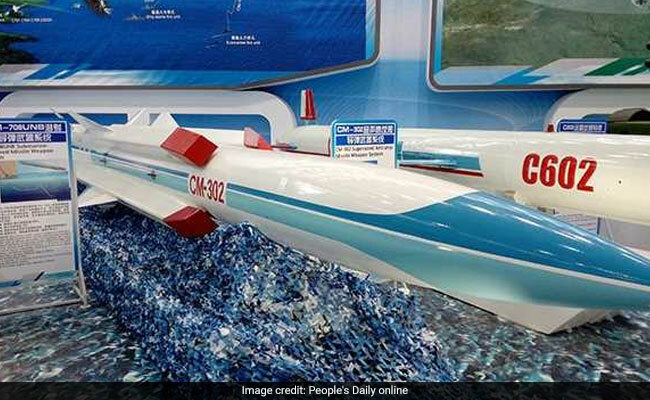 "The result of this multifaceted approach to technology acquisition is a PLA (People's Liberation Army) on the verge of fielding some of the most modern weapon systems in the world", the report says. "In some areas, it already leads the world", the report said. "The biggest concern is that as a lot of these technologies mature". "China has been investing billions of dollars, possibly as much as $200 billion past year, into its military, which Chinese leadership is putting through a massive overhaul in hopes of building a modern, world-class fighting force capable of waging and winning wars". These bases, and other improvements to the PLA's ability to project power during the next decade, will increase China's ability to deter by military force and sustain operations overseas, the report said. This includes a wide range of missiles and deployment systems, including a vehicle that launches ballistic missiles specifically against aircraft carriers. It also mentions how China has "closed numerous gaps in key warfare areas" in recent years, through building or acquiring advanced platforms such as submarines, missile patrol crafts and land-based systems that carry antiship cruise missiles, in order to deter Taiwanese independence or provide "a range of tailored military options against Taiwan and potential third-party military intervention" if an attack were deemed necessary. But Beijing considers it to be a wayward province and has never ruled out military force to bring it under control. "The challenge, of course, is for measuring against a globally active USA military that has many different missions and many different tasks, so I think there's a very long way for the PLA to reach that level". "We reserve the option for all the necessary means". The 140-page report, published Tuesday, is titled "China Military Power: Modernizing a Force to Fight and Win".